Beth Calabrese is the proud Owner and Director of On the Barre! She was raised in Sharon, MA, began dancing at the age of 4 at A Dancer's World and quickly fell in love! Beth began dancing competitively at the age of ten in all dance subjects and continued through college at the University of Connecticut. While in college, Beth was a member of the UConn Kickline Team, performing regularly at basketball games, sports events, and competitions, and "Kaged Ambition", a Connecticut based Hip-Hop team. Some of her dance achievements include performing at Gillette Stadium for the MLS Cup in 2003, placing 2nd in the Long Island Kickline Association Competition in 2009, and winning numerous awards at dance competitions. Beth graduated from UConn with a Bachelor's degree in Psychology, with a focus on Child Psychology. She is also an active member of the Greater Brockton Dance Teacher's Association, where she is currently serving as Secretary, and Dance Teachers' Club of Boston, where she is a Certified Dance Instructor. Miss Beth believes in dance education with an emphasis on maintaining age-appropriate movement, music, and costuming as well as believing all students regardless of ability or skill level, deserve a quality dance education! She enjoys taking dance classes in her spare time, and constantly expanding her dance education. Miss Beth loves to spend time with her husband, Dave, and cat, Doris! Instructor / ChoreographerMiss Christine is our Office Manager, and is also excited to be our Lyrical and Jr. Company Ballet teacher! Christine is a graduate from Westfield State College, where she studied Psychology and Special Education, and also was a member of the Dance Team where she sat on the Executive Board of Directors as Secretary. She is a former student of On the Barre, and currently is a head coach and choreographer for a local twirling competitive dance team. Outside of the studio, Miss Christine works as a Teaching Assistant at a local Middle School. Miss Melinda is the head Acrobatics Instructor here at On the Barre. Melinda brings many years of experience in instructing gymnastics and Acrobatics to children and adults of all skill levels and abilities. Personally, Melinda was a competitive gymnast, and one of her highlights includes winning 2nd place in vault at the West Hartford State Gymnastics Competition. She was also recruited by Channel 5 to host an on-air monthly exercise segment for 2 consecutive years. 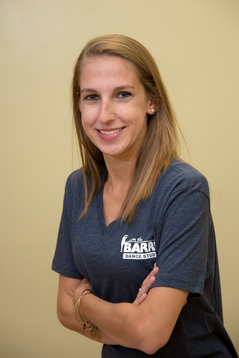 Melinda presently runs 3 different successful gymnastics/acro programs in the area, and she is looking forward to another great year with On the Barre. Miss Jenna was three years old when she began dancing, studying ballet and tap. At the age of five, Nippert joined New England Dance Academy in Attleboro Ma, attending many competitions and nationals with the competition team, studying acrobats, Ballet, Tap, Jazz, and Lyrical. As a well-rounded young dancer, Miss Jenna danced with other local dance studios as well. Having the opportunity to take class with some of the dancers from "So You Think You Can Dance", Jenna has grown as an artist and performer. Miss Jenna received her Associates Degree in Performing Arts from Dean College. She also attended Alvin Ailey Summer Program, where she had the chance to experience other dance techniques such as Horton and Dunham. Miss Jenna has explored the art community in Boston, thus becoming an original member of Jo-Mé Dance Theatre, a Boston-based Contemporary dance company, in October 2012. She is so excited to start as the newest instructor of On the Barre! Miss Koty began her dance career at the age of 2 at the former AMJ Dance Center where she studied, assisted and taught classes until her graduation from high school. Currently, she is a senior at Bridgewater State University pursuing a bachelor's degree in Dance with a minor in Management. At BSU, she holds the positions of Vice President and Choreographer for the Refined Movement dance club as well as Treasurer of the National Dance Education Organization’s student chapter and is a seasonal member of BSU’s Dance Company. She previously has run an after-school dance program at Moses Brown preparatory school for preschool through first grade. 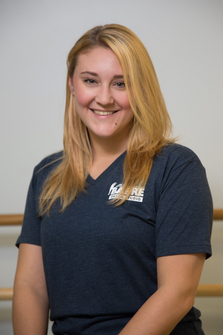 Koty has also traveled to annual conferences held by the National Dance Education Organization to further her research based on the various aspects and benefits of dance and in November of 2017 will be presenting at this national conference! She is thrilled to have found a home at On the Barre and is looking forward to learning and growing along with her students in this next year! Erin started her dance career at 8 years old in her home state of Ohio, where she performed and later taught with a local dance company over a 10 year period. Erin received additional instruction from Suzanne Winland of Pointe West Studio until she and her family relocated to Massachusetts in 2001. In 2003 Erin began working as an instructor at On the Barre Dance Studio (OTB), teaching all ages in numerous dance subjects including ballet, tap, lyrical, and ballroom. She went on to serve as the studios assistant director for 3 years prior to leaving the company in 2012 due to injury. Also experienced in Theater, Erin was Triboro Youth Theaters head choreographer from 2008 to 2010. She also collaborated with Triboro Musical Theater as well as Wheaton College’s theater department. More recently, Erin served as a founding member and choreographer for A Work In Progress – a local non-profit theater organization. Erin is excited to be back teaching at OTB and loves seeing both her former and new students. She is thrilled to be a part of the OTB staff! 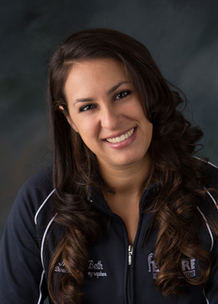 Erin is a certified dance teacher through Dance Teachers Club of Boston, where she is currently a member. Miss Samantha has been the Office Manager at On that Barre for a number of years now, and is an alumni of the studio as well! She started dancing at 5 years old, and danced at On the Barre for 13 years until she went to college. Miss Samantha is a graduate of University of Massachusetts Amherst with a B.S. in Psychology, and recently graduated with her Master's degree in Elementary Education at Bridgewater State University. Sam is so excited to be a part of the OTB team, especially since she grew up in the studio!